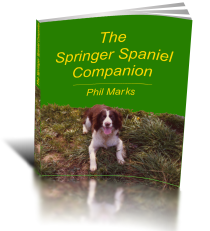 I’m delighted to announce that The Springer Spaniel Companion is now available on the Kindle, and in the iTunes Store. What’s different about Welsh Springer Spaniels? What is a Rescue Centre? If you own or you are seeking a Springer Spaniel, then this book is a great companion!